Not available anywhere else in the UK, here are Waterproof World Children's Waders - the ultimate in puddle-proofing for your kids!! 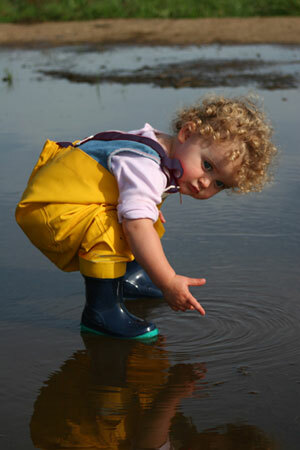 Tough PVC trousers with built in wellies, our kids waders leave nothing to chance. 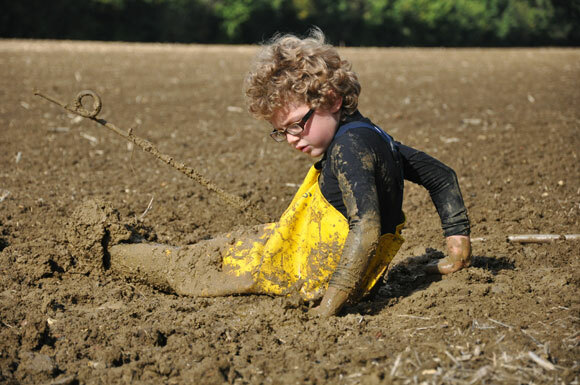 No more losing boots in the muddiest of muddy puddles! 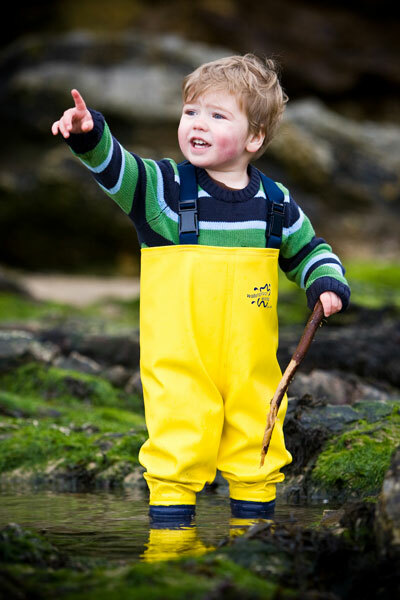 Or, how about these children's waders for the beach in winter? As featured in The Times and on the BBC Springwatch Trackers TV series. Trousers made of heavyweight PVC. If you are buying a little large in the boot size, we recommend purchase of our thermal boot socks. These keep feet warm, and give a better fit if the boot is large. In a lovely thermal cotton fabric - they fit nicely over standard socks to give more warmth round the foot- and unlike a long sock they don't wriggle down inside the boot. 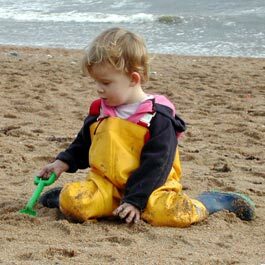 Remember that our waders are not a safety device - children should never play in water unattended.